Senior leaders in the organisation need to have an early and consistent view of project health and quality to allow accurate decision making, delivery forecasting and on-time delivery. 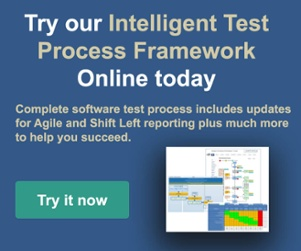 In addition information on process and testing effectiveness will drive ongoing test process improvement and transformation. Extensive set of industry standard Quality KPIs including test progress, test effectiveness and efficiency, process compliance and product quality. Overall project lifecycle KPIs including roadmap, schedules, resources, budgets, risks and dependencies. Provides overall commercial product KPIs including classic (ROI, NPV, IRR etc.) and advanced (e.g. options pricing) valuations, risks, roadmaps, revenues, markets running on probabilistic models and built-in sensitivity analysis. At a glance visualisation of staff allocation, shortfalls and over-commitments by individual resources, teams and projects.